Erlang is a concurrent, functional programming language designed for programming large industrial real time systems. The language is untyped and has a pattern matching syntax. Functions are written as a set of recursion equations and the language has explicit concurrency and asynchronous message passing. 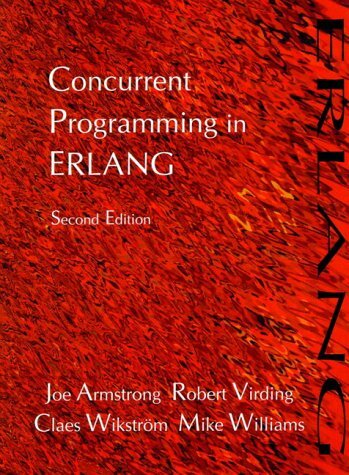 Erlang provides explicit concurrency, has asynchronous message passing and is relatively free from side effects. Written in a tutorial style, the emphasis of this book is on learning through example and a number of well known problems in designing and programming concurrent fault-tolerant real-time systems are illustrated. We consider the problems of distributed detection and estimation in wireless sensor networks. We provide a general framework aimed to show how an efficient design of a sensor network requires a joint organization of in-network communication. This is a comprehensive and theoretically sound treatment of parallel and distributed numerical methods. It focuses on algorithms that are naturally suited for massive parallelization, and it explores the issues associated with such algorithms.